If you’re looking for the optimal teaching course on YouTube marketing, then this 20 part video series is for you. YouTube is a juggernaut for marketing campaigns. If you’re not aware, many times there are YouTube videos placed within the top 10 results for various search phrases on Google. Reason being that Google’s aim is to provide answers and solutions to users’ queries as quickly as possible. And to do that, they rank only the content that can fulfill the needs of users. YouTube video much of the time is generating more views from answer-seekers than much of the content above and below it. People simply gravitate towards videos which is why you need to begin implementing video content into your marketing campaigns if you haven’t already. In this step by step course, you will be shown how to get your audience eating out of the palm of your hand. Across these 20 videos, you’ll learn how to create and optimize your YouTube channel, how to monetize your channel, finding a great niche, picking the best keywords, ranking your videos, using affiliate links, sending people through your funnel to wherever you want them to go, promoting your videos, SEO strategies and much more. You’ll also learn through case studies and see how everything is applied for real. 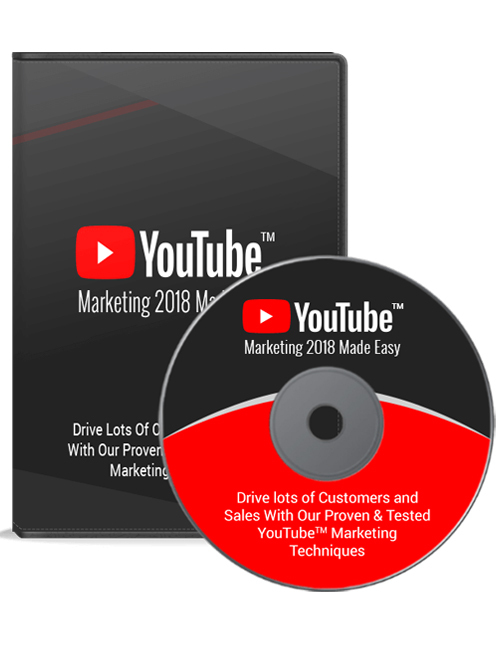 You can also get the YouTube Marketing 2018 Made Easy ebook which compliments this course. Hit the download button now.